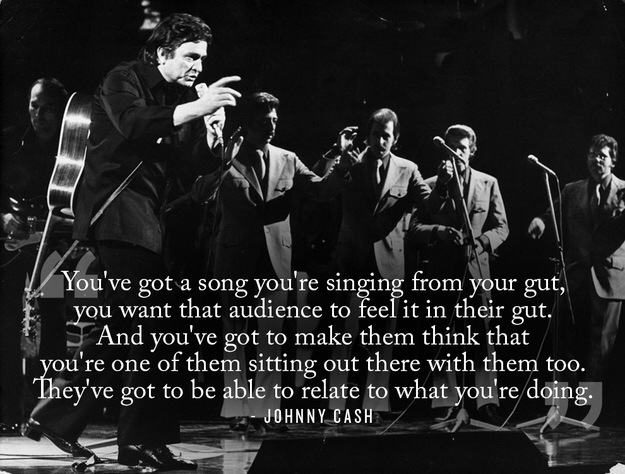 Another quote from The Man in Black – Johnny Cash! This man gave us so much through his music, and also shared some great views on life itself with us. The quote below should be a guiding saying for us all! You build on failure. You use it as a stepping stone. Close the door on the past. You don’t try to forget the mistakes, but you don’t dwell on it. You don’t let it have any of your energy or any of your time, or any of your space. 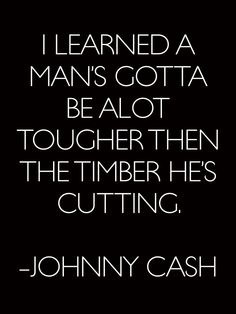 Here’s a quote from Johnny Cash which is a personal favourite of mine! 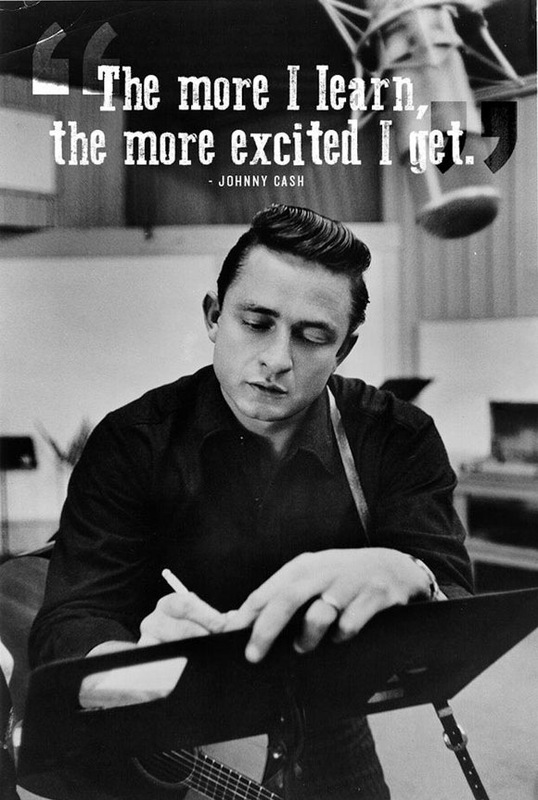 It says a lot about the kind of artist The Man in Black was! You’ve got a song you’re singing from your gut, you want the audience to feel it in their gut. And you’ve got to make them think that you’re one of them sitting out there with them too. They’ve got to be able to relate to what you’re doing. See here for more quotes. 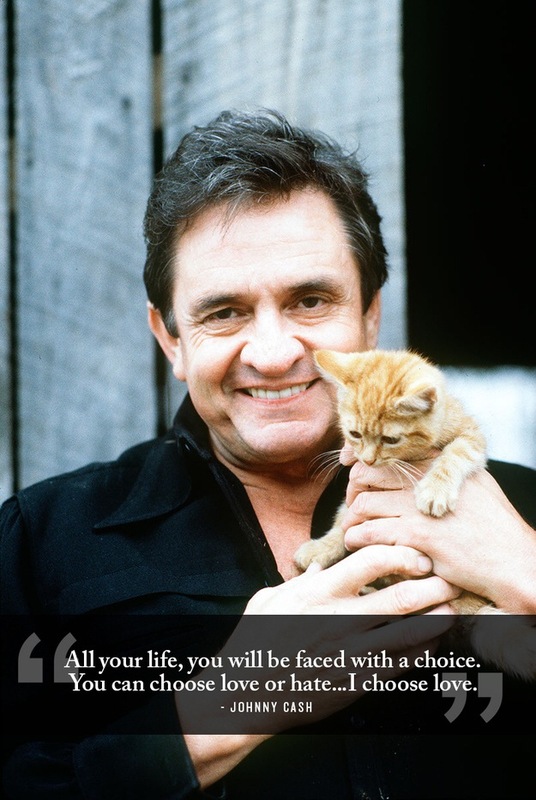 Another great quote from Johnny Cash, and this time we’re talking about love, and the choices we make. All your life, you will be faced with a choice. You can choose love or hate.. I choose love. See all of our Cash quotes here. Johnny Cash had a lot of famous quotes, which are still remembered and used. We’ll try to gather some of them, and post it here as blog-posts. The more I learn, the more excited I get! Today is September 12th. On this day in 2003, Johnny Cash – our man in black – passed away. Luckily there’s comfort to find in the music he left behind. Cash released albums in a period over six decades: ’50s, ’60s, ’70s, ’80s, ’90s and ’00s. No wonder he is a legend! In the early days, the ’50s, Cash would, together with other artist like Elvis Presley, Carl Perkins and Jerry Lee Lewis, be a pioneer for rockabilly and rock and roll. With his railroad stompin’ beat he added a new element to country music. He brought something new to music from the day his career began. He would write and sing songs aboute themes that he cared about and had respect for. Some of the latest creations was the compiliationg Love, Murder and God. With a seperate album called Life. This were made to show wich themes he represented with his music. And Johnny’s interpretation of murder in his songs were first of it’s kind in country music. Like the famous line from Folsom Prison Blues; “I shot a man in Reno, just to watch him die”. 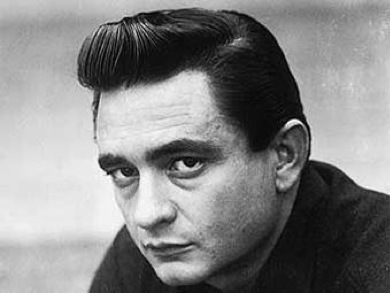 Cash was a great ambassodor for both country music and rock and roll through his career, and was awarded for it also. His wide-spread music from country, honky tonk, country gospel, bluegrass, gospel, outlaw country and americana to rock and roll, pop, swing and big band, made him an influncer for countless artists. When his career got an much needed upswing in the ’90s Cash was regarded as a living legend for alternative country, and became an icon. To illustrate his impact in the world of music I can mention that he was awarded the Grammy Lifetime Achievement in 1999, he was ranked as #31 by Rolling Stone Magazine on a list over the greatest artists of all time, he has recieved 9 CMA awards, 16 Grammy Awards, and let’s not forget that he was inducted to three hall of fames! So Johnny Cash might have passed away, but his music lives on. And today we can all put on an old Cash LP and enjoy the legacy he left behind. 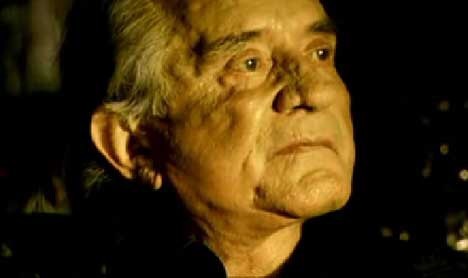 Dark as a Dungeon is one of my personal favourites from Johnny Cash. And the story around the song is also quite interesting. The song is not an original Johnny Cash, but was written by Merle Travis. But it was first when Cash performed it in 1968 that it became famous. The song was performed January 13, 1968 – and that’s not just any other day. This is the day of the world-famous prison concert at Folsom! 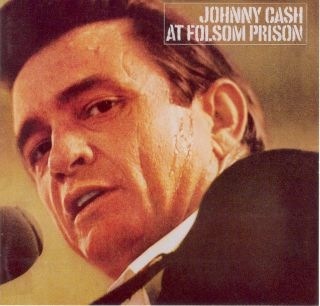 During the performance in Folsom Prison, one of the prisoners started laughing during the song, and Cash replied with a chuckle. Cash had to tell him “No laughing during the song, please”, whereas the prisoner yelled “hell” back to him. “I know hell” answered Cash. The newest addition to the chord-section; “No, No, No“. 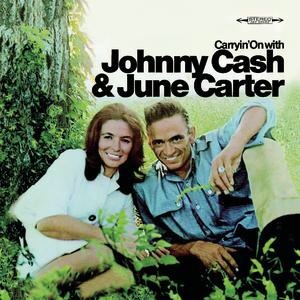 This song is featured on the “Carryin’ on with Johnny Cash and June Carter”, released in August 1967. It’s a short song, and the recorded version is only 1:52 – however Cash has many songs in that category. And “No, No, No” is also written by Johnny Cash himself. Fun fact regarding the album: Only seven months after the album was released, John and June got married!